Did I tell you my elder sister gave me a surprise visit from Dehradun last week? Well she tried to surprise me, but my mum had spilled the beans long before my sister’s arrival. Anyway, the last few days have been so much fun with us catching up and taking my sister Bella, to all my favorite food places! It was my sister’s birthday on Saturday, and I thought it would be the perfect time to try out HouseJoy’s beauty services. It was my first time using an app which provides residential help services. 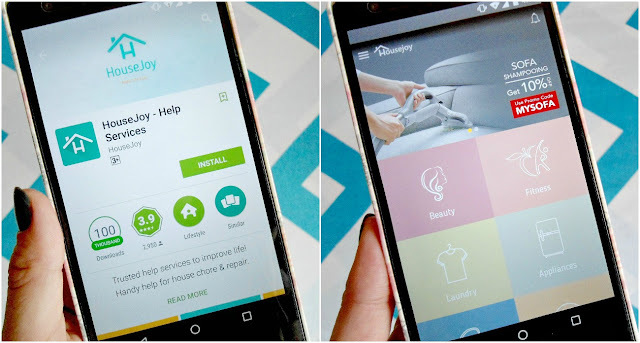 If you are not familiar with the app, HouseJoy provides professional help for your home with the ease of just a few clicks. Services like laundry, home cleaning, pest control, drivers and even plumbing/electricity can be availed through this app. I went to the beauty section of the app ( while making a mental note to use HouseJoy the next time I need a plumber) and went through the list of options available. Right from waxing and threading to massage and mehendi art, the BeautyJoy section of the app app covers every basic beauty service that one might require. I opted for the 'Skin Excellence' option under the packages tab, within it the services head massage, manicure, pedicure, facial, threading and a head+back massage were given for the discounted price for INR 2799 only! After selecting my choice of services, the app asked me for my preferred date, time slot, method of payment and I was done! A representative from Housejoy made a call confirming my appointment and our beauty service experts reached right on time. My sister and I had a relaxing afternoon indulging in these salon services at home! Bella di, who rarely visits the parlour (and when I say rarely, I mean it!) found the pedicure and Radiant Facial exceptionally good. You can have a look at all the details and prices of HouseJoy’s beauty services here. The app gets a thumbs up from me and I am planing to try out other services from HouseJoy as well. 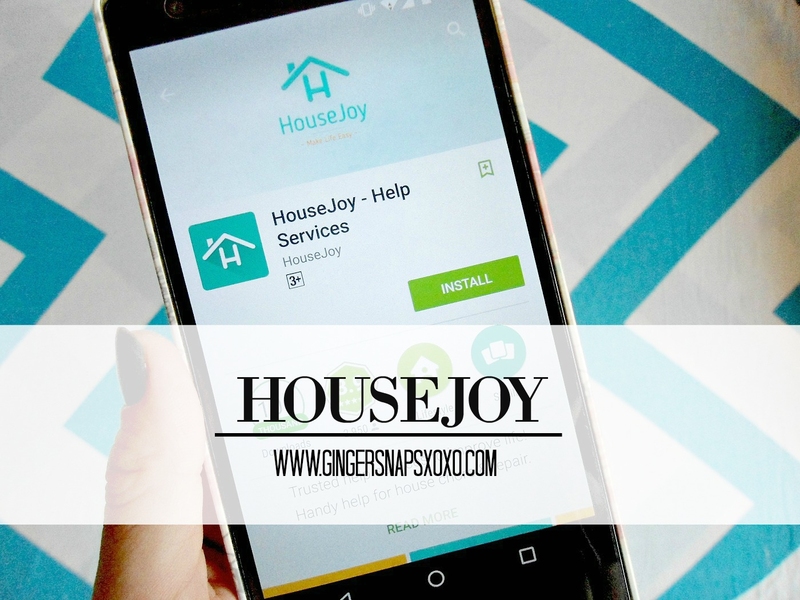 The next time you are in need of beauty or household services (you will be surprised by the variety of services HouseJoy provides,) I would definitely recommend that you give this app a go.